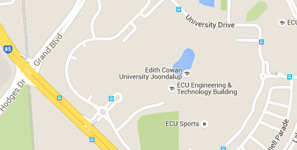 I'm happy to receive further communications about future study opportunities from ECU. You can update your preferences at any time from ECU communications sent to you. To help us rule out invalid data or spam, please check the box below. Here's some handy information about getting to our campus. And here's where you can find maps for all campuses. Top-rated public university in Australia for undergraduate teaching quality.